Next Tuesday, you will have in your hot hands, the Blu-ray or DVD of Michael Fassbender's second X-Men film, 'Days of Future Past'. 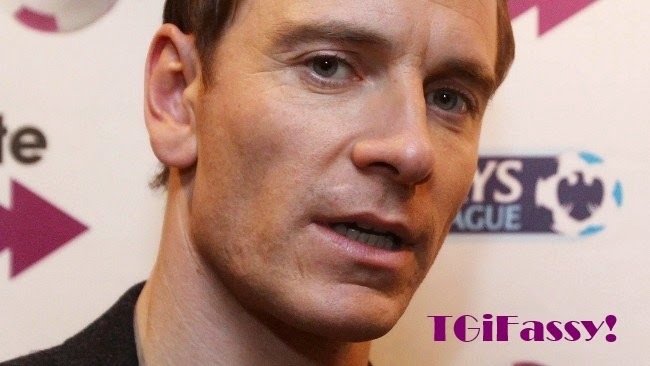 Hopefully it will wake you out of your MIA-Fassbender induced coma. I swear, the well of Fassbender news and information is so damn dry, the drought rivals what's going on in California. Very dry, but hopefully an end in sight is near. In the little bit of news I have read about recently is that if you're in New Zealand, the casting call for extras for 'The Light Between Oceans' is going on right now. They need about 120 people, in the cities of Dunedin and St. Bathans. People interested in playing extras - either in Dunedin or St Bathans, where extras casting is being held on October 11 - could contact Ms Taylor at lorencarlataylor@gmail.com. I've had the pleasure of being an extra on the Batman vs Superman movie that is still being filmed right here in Detroit. If the Lord allows it, I shall be seen in two key scenes, one with Henry Cavill, and the other with Lawrence Fishburne. Being an extra is a unique experience, and being one in a Michael Fassbender film would be an extraordinary once in a lifetime event. New Sealand: here I come....NOT. Bummer. It's time he start shooting a film in Rotterdam. It will be my pleasure to hide him at my place from the press. More seriously, it's great Simone,two scenes with two great actors.